During World War I the U.S. Navy temporarily acquired three miscellaneous auxiliaries. This page features a table (with links to individual ships) of World War I era U.S. Navy miscellaneous auxiliaries, plus a photograph of each ship in this group. 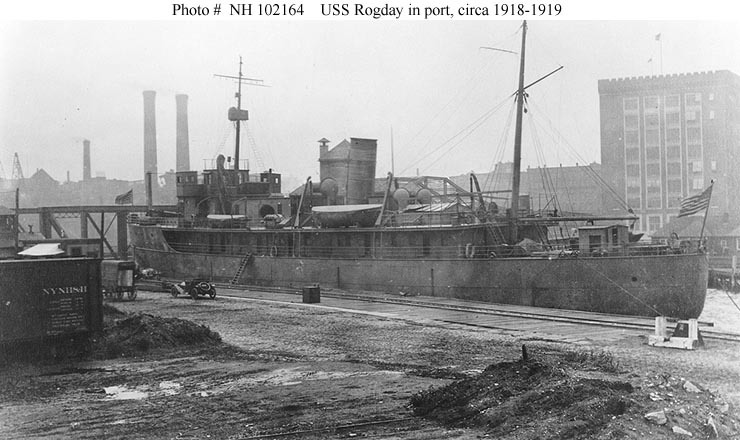 Rogday, USN 1918-1919 (ex Russian Rogday ex American Nevada, 1915). 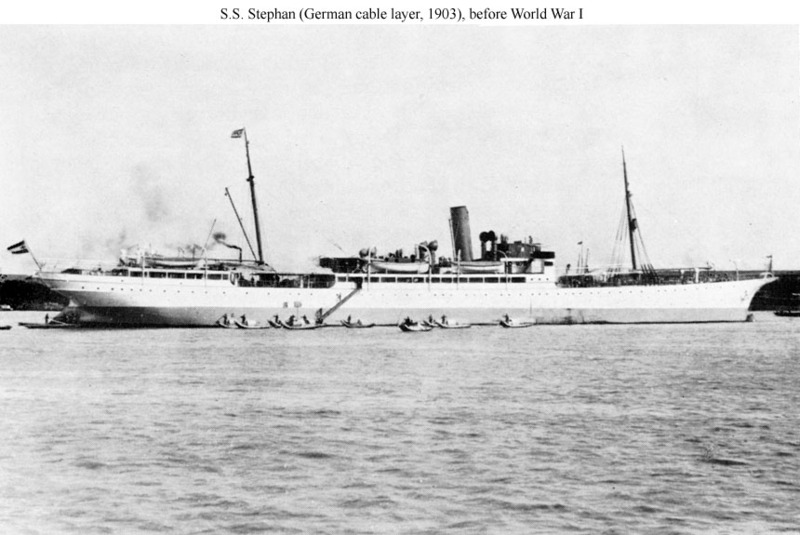 Stephan, USN 1919-1919 (ex German S.S. Stephan, 1902). Operated by U.S. Naval Nucleus Crew No. 3 from 5 Jun 19 to 3 Jul 19 during transfer to U.K.
ONE SHIP -- Surveying Ship. 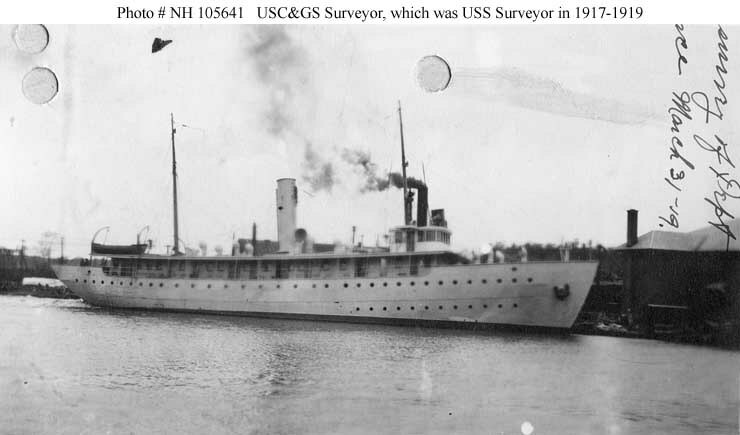 Surveyor, USN 1917-1919 (ex USC&GS Surveyor, 1917).